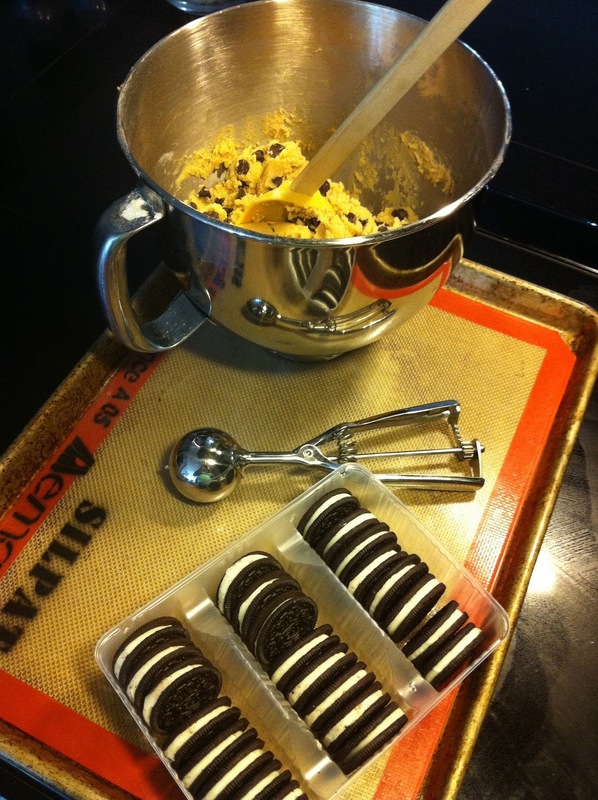 Cookies are a brilliant form of snacking – fun to make, fun to eat, fun to dip, fun to sandwich. 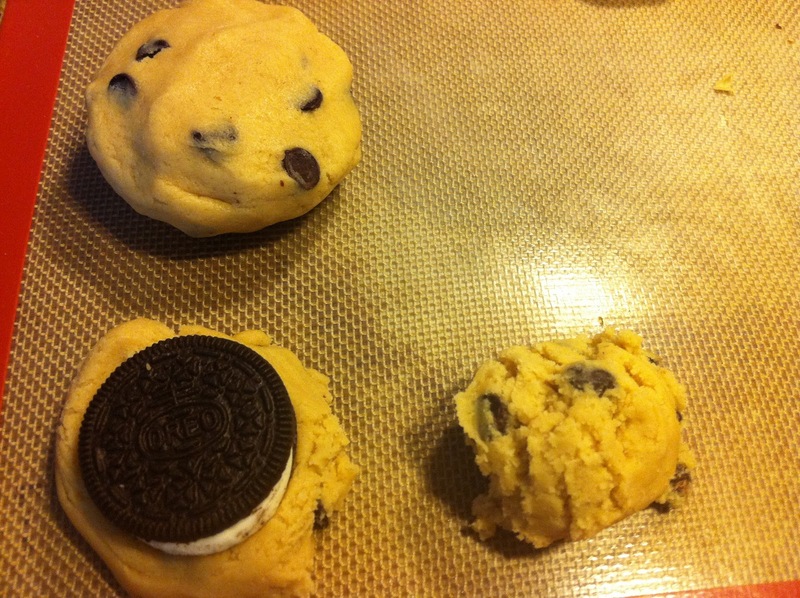 Paula Deen was surely channeled when this cookie was first baked and posted on the interweb by way of the Picky Palate blog. 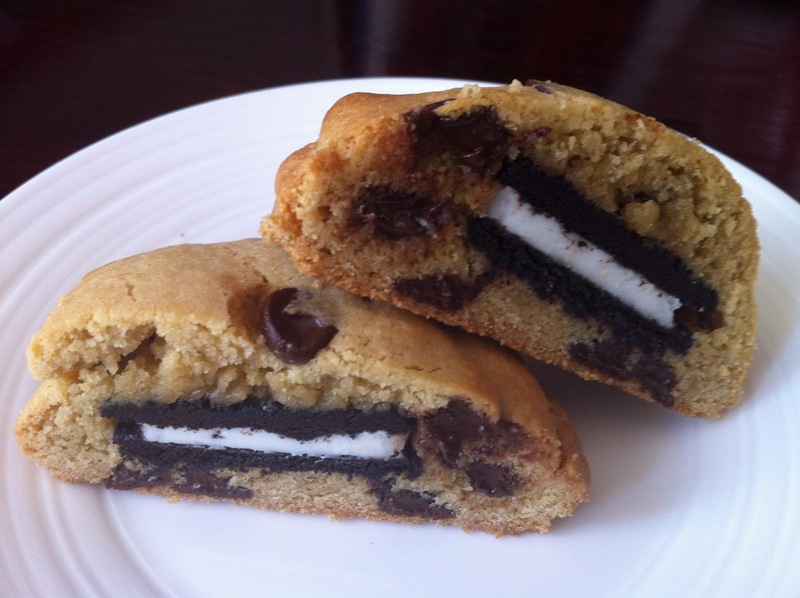 Part insanity and part genius, this delectable treat is two cookies in one – a double-stuff oreo crammed in the middle of a gigantic super sweet ooey gooey chocolate chip cookie. My blood sugar is rising just describing them. Unfortunately, I can’t eat them until after I give birth, but I can serve them to a few of my friends at our last baby-less Friday games night (with insulin at the ready!). 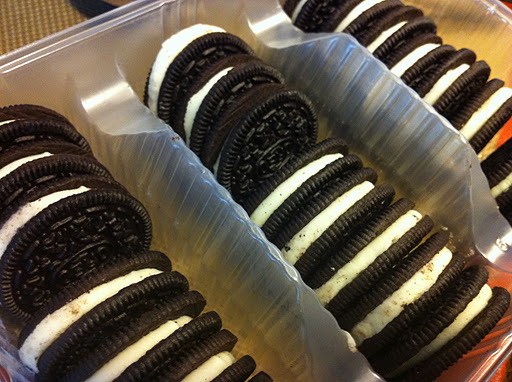 Double stuff oreos are the only way to go! One ice cream scoop per side and an oreo in the middle. 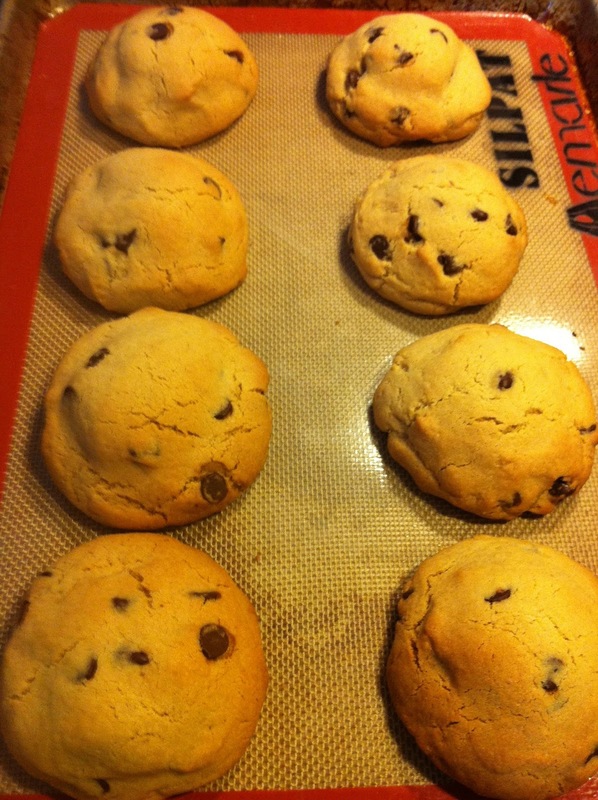 After baking – the largest cookies I have ever baked. *Please excuse the poor photo quality – my good camera is packed away in my hospital bag! To make these sugar-love-bombs in your kitchen, the recipe can be found here.